Old Navy is currently offering 15% off (online only). Here are my favorite finds. Make sure to enter ONSAVENOW to get the discount. Have you picked up anything good from Old Navy lately? Leave it in the comments. I can't wait to get it! Definitely loving Old Navy right now. 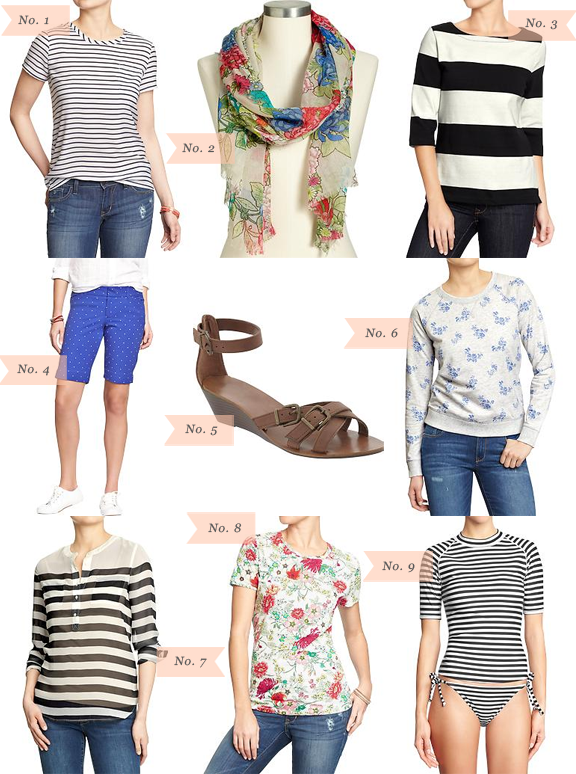 I bought #3 the striped boatneck top. I really like the shirt but I'm never quite sure how to style it! The thick stripes have a tendency to look like a rugby players shirt. Any suggestions on bottoms, accessories, etc. to make it more feminine?